Ecology is the study of the interaction between living and not living things. It begins with an organism, which is a living thing. All organisms make community and then an ecosystem. Nowadays our planet faces with different ecological problems such as water pollution, air pollution, climate change, nuclear issue, toxins, acid rains, Earth pollution, radioactive pollution and so on. Basically we are the main factor which make this problems, because of our selfishness. In fact everything is connects with each other and if there is one disease then from it will come other problems. There are pollutants which pollute our environment. Carbon monoxides, hydrocarbons, sulphur oxides, nitrogen oxide and organic compounds those are examples of pollutants. They can evaporate and affect the atmosphere. Now I am going to tell you about two types of pollutants: primary and secondary pollutants. 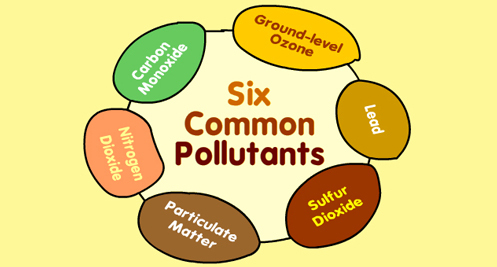 Primary pollutants are those gases or particles that are pumped into the air to make it unclean. They include carbon monoxide from different cars or other machines, also from the combustion of coal it exhausts and sulfur dioxide. While pollutants mixing together in the air in a chemical reaction, there is more dangerous chemical which they formed, it is what science called secondary pollutants. As more common pollutants I take: Carbon Monoxide (CO), Ground-level Ozone (O3), Lead (Pb), Nitrogen Dioxide (NO2), Particulate matter (PM) and Sulfur Dioxide (SO2). All of them negatively affect firstly our health. Most problems because of them connect with breath (lungs) and brain. 1. In USA there is about 30.3 percent of worlds gas emissions. 2. About 35 percent of Chinese people live in very polluted cities, as they breath with the smoking air every day. 3. In Asia the air is so polluted and smog there is so thick that on some night they can`t see stars. 4. The statistic show that every year people from 200000 to 500000 die because of air polluted. Acidic compounds are created by different chemical reactions which have those air pollutants and those reaction badly affect buildings and other architecture. As you understand, It is so dangerous while air pollutant, because if it is combined with water, which makes rain, the consequences that this rain will be acidic. Acidic rain damaging whole environment starts from ground to skyscrapers. This kind of rain can have a Nitrogen which it will alter rivers and soils. This negatively change the nutrients in the land and reservoirs. Organisms which live in this water conditions suffer from this reactions because it might definitely increase the amount of alga. Gas ozone is created by chemical reactions which have air pollutants. Naturally, this ozone definitely harm influence not just our body, organism and life but also life of other plants and animals. So as I have understood the effects of the air pollution are global warming, different lungs diseases, ice melting faster, more and more deaths, acid rain and polluted water. - As I know nowadays some goverments in most diveloped countries allocate funds for sciense for using effectivly renewable nergy sources like wind. More and more schientist and engineers make different wind machines which work by the wind. It really very useful beause dosn`t damaging environment and not wasting the non-renewable energy cources which badly affect our health. - Also government might try to partly control or even say to different metal or other factories to make less waist and use other materials which less affect an environment. - Also, companies, which create cars, might made them “cleaner”. I mean to change them into bio cars or solar cars. Science also must participate in it. They can adopt different energy sources like solar or wind, which will definitely save an environment. Industries should install filters on smokestacks to purify the harmful gases. Scientist can create and instill to people perfumes and sprays containing no CFC`s. In my opinion everything start from us and we should all be responsible for it, not just government or scientists. We also can do some basic acts which make our environment cleaner. As an example we can change cars into bikes or, as I have mentioned before, bio cars. It will not just make environment cleaner but also makes us fitter and healthier. Basically we should just make beans for recycling and not as it is in developed countries. Air pollution is the introduction of chemicals that harm human, plants, animals. It is the main cause of global warming and cancer. There are different causes like: smokestacks of factories and powerplnts, motor vehicles, buses, cars and aircrafts, chemicals, fires, volcanoes, nuclear weapons and so on. As a conclusion we don`t have much time to start caring about our future, we must start at this moment.